Since the Police and Crime Commissioner first commissioned a Restorative Justice (RJ) service across Hampshire, the Isle of Wight, Portsmouth and Southampton in 2016, the number of people contacting or being referred to the service has been rising steadily. But should it really be used for any crime type, including domestic and sexual abuse cases? Restorative Justice offers victims an opportunity to be heard. It empowers victims by giving them a chance to meet or communicate with their offender to explain the real impact of the crime and ask questions. It also holds offenders to account for what they have done and helps them to take responsibility and, where possible, make amends. Restorative Justice can be used for both adult and young offenders and for any type of crime, irrespective of when that offence was committed. It is not a soft option and can be used at all stages of the Criminal Justice System, from out of court disposals to alongside a custodial sentence. However, some practitioners working with victims and offenders legitimately question whether RJ is appropriate for victims of particular crime types. For example, re-victimisation is a significant concern of those who work with victims of domestic abuse and sexual abuse. Abusive relationships are often marked by elements of coercive control that undermine the core of a person’s identity and their self-confidence. Escaping from such a relationship often requires an enormous effort by those being abused, as well as substantial long-term support by professionals. Some worry that the Restorative Justice process will provide the perpetrator with further opportunities to exert control over the victim. The Commissioner’s Restorative Justice Conference this week brings together more than 80 partners from across the area, including RJ providers, the police, probation services, community safety partners, and those organisations that work with young people and victims of domestic and/or sexual abuse – with the aim to challenge existing assumptions and increase options and opportunities for victims to participate in Restorative Justice. The former Chief Executive of the Restorative Justice Council, Jon Collins, addressed many of these concerns in his blog two years ago. His conclusion still stands: The sensitive and complex nature of domestic abuse cases requires skilled and experienced practitioners to ensure the needs of victims are met and that they are not re-victimised as a result of their contact with the person who caused them harm. The RJ service in Hampshire has successfully supported victims of historical sexual abuse and facilitated RJ processes with the person responsible for that abuse. One of these cases took over a year of preparation and two cases alone resulted in 60 face-to-face practitioner hours supporting the participants. This quote illustrates how experiencing abuse, particularly where there is an element of coercive control, can leave victims feeling like they have lost control over their lives. 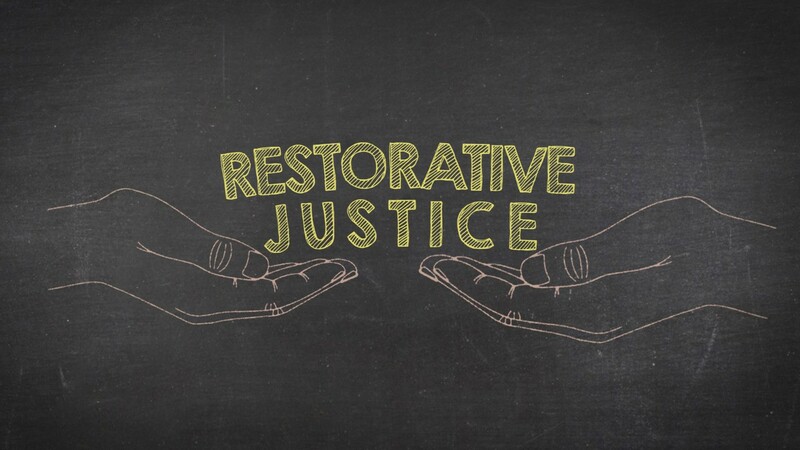 The traditional Criminal Justice process does little to address that; however, through a carefully managed and expertly facilitated Restorative Justice process, victims can regain control over their lives and show their perpetrator that they are not defined by what has happened to them. Restorative Justice will not be suitable for everyone, but it should be available as an option for everyone.